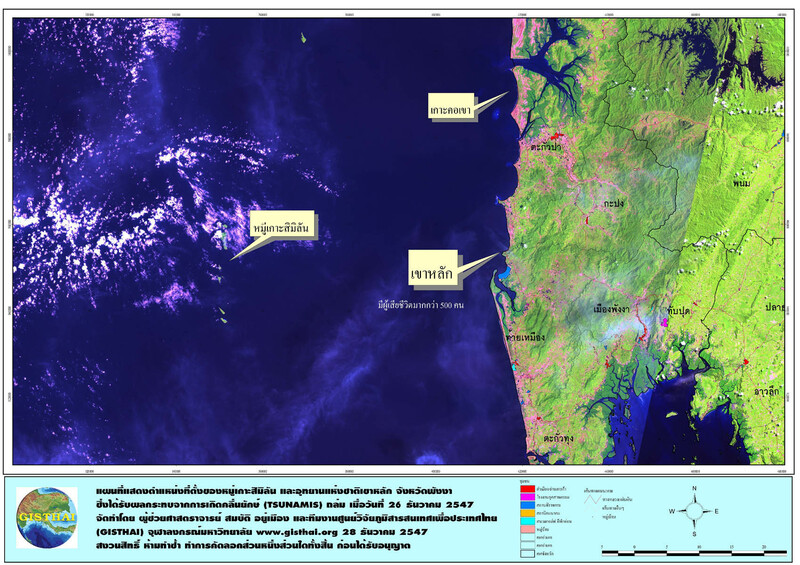 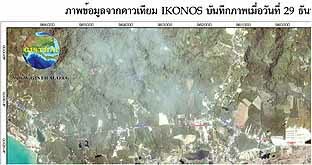 The samples of Ikonos satellite images showing the physical features of the affected areas in pre-post tsunami disaster. 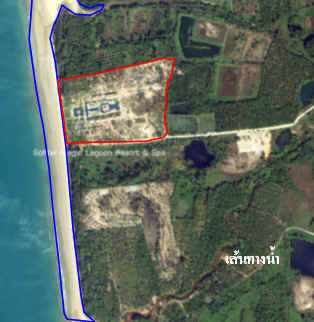 - Green area was changed into brown color in post tsunami disaster due to the piling of muddy sediment up on the vegetation. 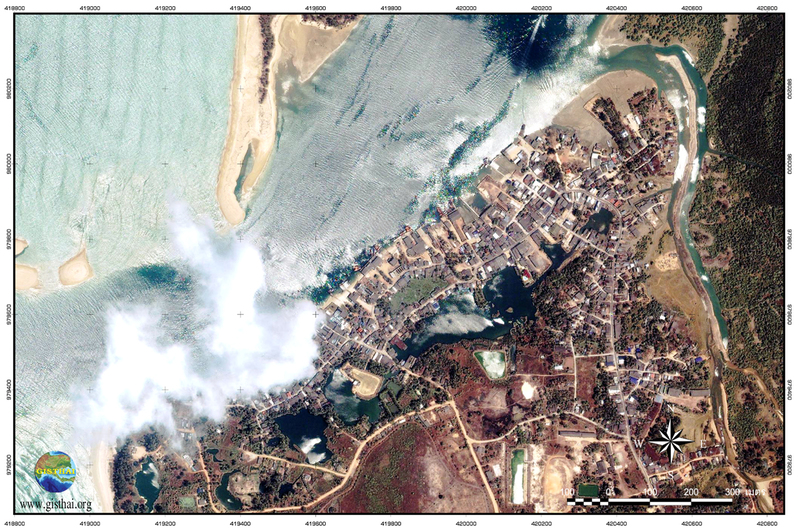 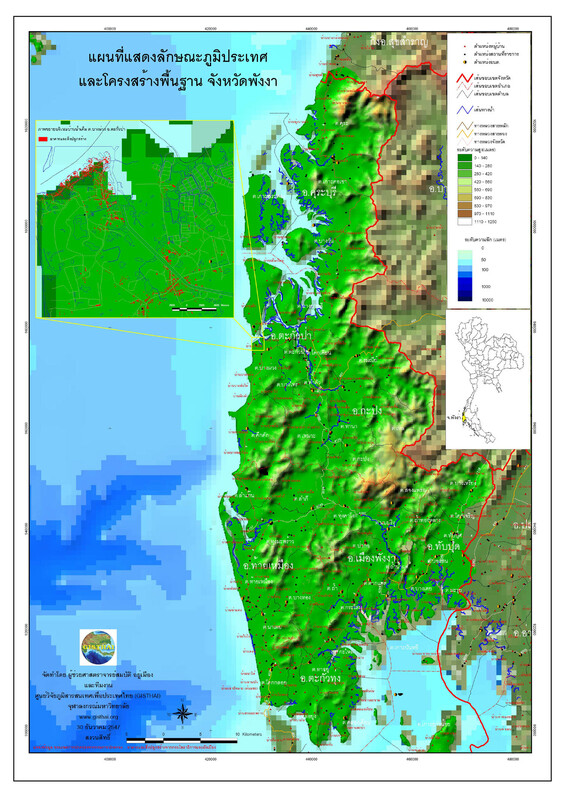 - In post tsunami disaster, the point of Pakarang cape (the red box) could not be observed on the satellite image. 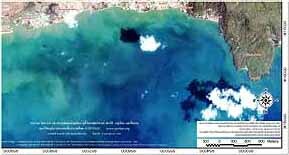 The field survey will help us to prove that this point is located below or above Mean Sea Level (MSL). 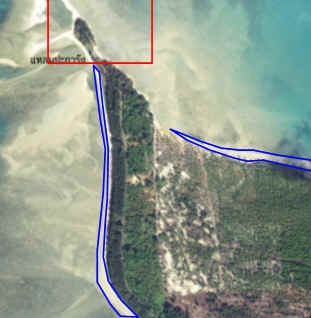 In case of the affected areas located above the MSL, it means the erosion is the main cause of this impact and such eroded sediment has flowed into the shoreline. 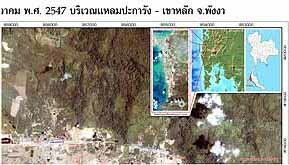 - In post tsunami disaster, green color was changed into brown color due to the piling of muddy sediment up on the vegetation. 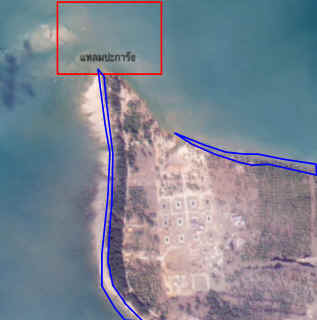 - Shoreline shown (red box) was totally disappeared while, the water channel was broadened. 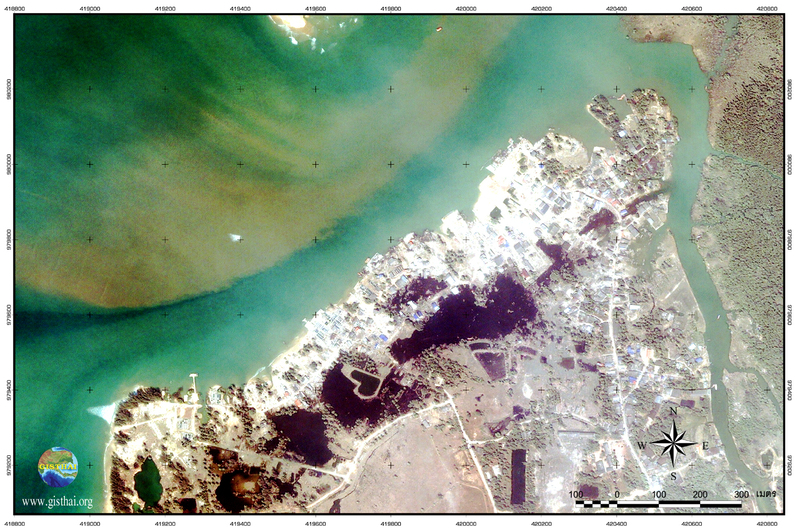 - Green color was changed into brown color in post tsunami disaster due to the piling of muddy sediment up on the vegetation. 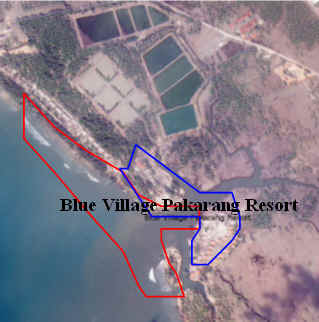 - The erosion of shoreline and vanished beach (dark blue box) were observed. 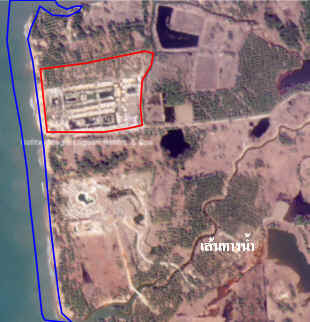 At the same time, the coastal line was altered.